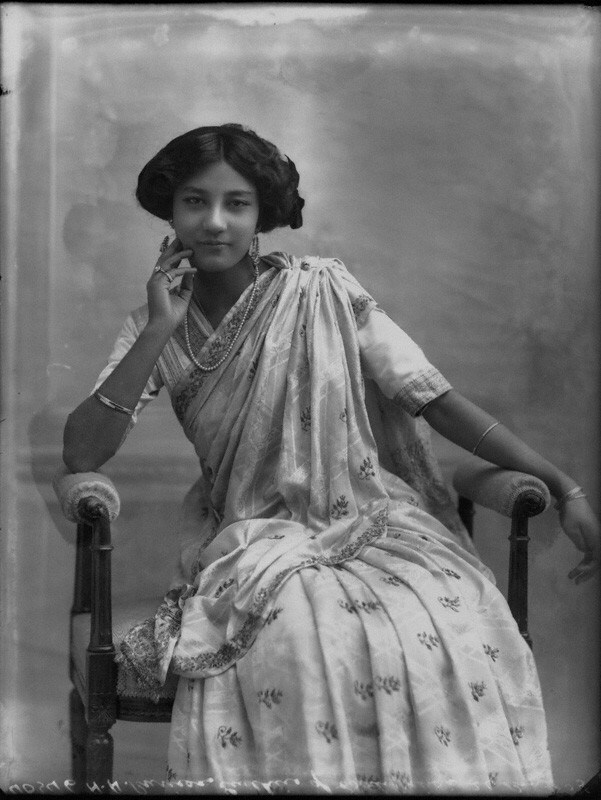 And the princess of Cooch-Behar in a blouse that shows a more demure Edwardian influence. Also from the National Portrait Gallery. 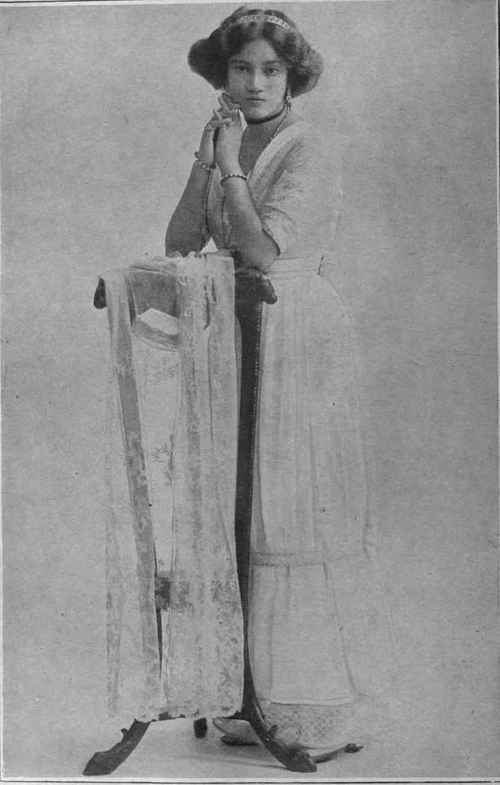 And another princess of Cooch-Behar in what appears to be Edwardian costume. More on her here. This entry was posted in 1910s, British Raj, Colonial, Edwardian, Sari, Vintage Blouse, Vintage Dress and tagged 1900s, Cooch Behar, Indian Princess, Princess Pretiva, Princess Sudhira, saree blouse, vintage blouse. Bookmark the permalink.